I generally like to keep my longer posts focused on Roswell but I couldn't pass on this one due to the impact it will have on new urbanism in North Fulton. Unless you have been living under a rock, you already know that Avalon will bring true mixed-use to Alpharetta. We have seen the renderings and videos of the commercial and apartment section of Avalon but we haven't gotten a clear picture on what the homes in Avalon will look like. Recently, I had the opportunity to take a look at the plans for Avalon Gardens, the residential portion of the Avalon project put together by Monte Hewett Homes (builder) and Lew Oliver Inc (designer). 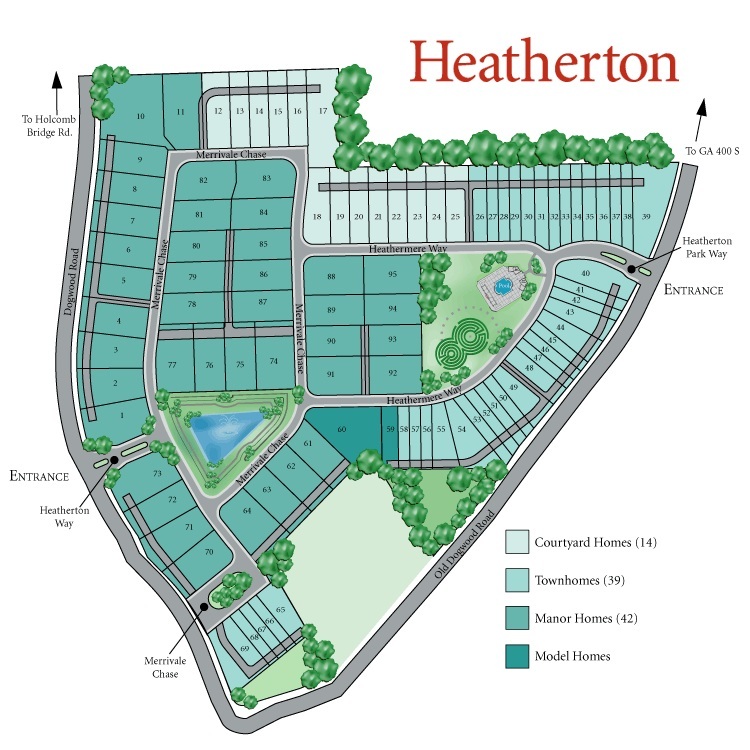 Monte Hewett Homes has a couple projects in North Fulton, Heatherton in Roswell and Lake Haven in Milton. Both of these are very nice and are quality product but lack good urbanism. However, the addition of Lew Oliver to the equation is what sets the design apart. Lew Oliver is a renowned local designer and town planner. Locally, he put together the Milton Crabapple Master Plan Visioning Study (pdf) which promises to expand upon the walkability and sense of place that already exists in that area. This team should deliver a high quality product combined with top notch placemaking that is unparalleled in North Fulton. Up front, it is obvious that Avalon Gardens will quickly blow any new development in North Fulton away in terms of walkability. In terms of placemaking, it looks to be a cross between Vickery Village and Rosemary Beach. In my opinion, there are three things that set Avalon Gardens apart. Those are Proximity, Design and Housing Options. The first differentiator, proximity to amenities, sets Avalon Gardens apart from virtyally every development in north Atlanta. This will be one of the only places in the outer burbs where someone will be able to live in a place that doesn't require them to get into a car to make most of their daily trips. The commercial side will have a grocery store, dining options and entertainment options. There is even the possibility that people will be able to live in the same neighborhood that they work. WHAT? Design creates the place and this will be quite a place if the final product remains true to the plans. Below is a rendering of the housing that will surround the center lawn wilt a vew of the urn fountain that will serve as the centerpiece of the neighborhood. There are also 14 lots reserved for icon architecture. Most "architecture" in the burbs is reserved for very pricey single family estates and it has little appetite for enhancing the public realm in which it is placed. Most subdivisions in North Fulton lack anything that one could truly define as creative. That will not be the case here. This plan is significanlty more pedestrian focused than what was originally shown to the public. The designs have eliminated some of the auto-oriented streets in favor of two small lanes that will provide access to the homes for residents and visitors. A number of pedestrian ways cris-cross the neighborhood interconnecting the property. The reduction of car-oriented streets helps create a more distinct place while also lowering infrastructure costs. Here's the plan. Westside Parkway is to the west, Old Milton Parkway borders on the south and the mixed-use commercial section of Avalon is to the east (click on image for larger view). 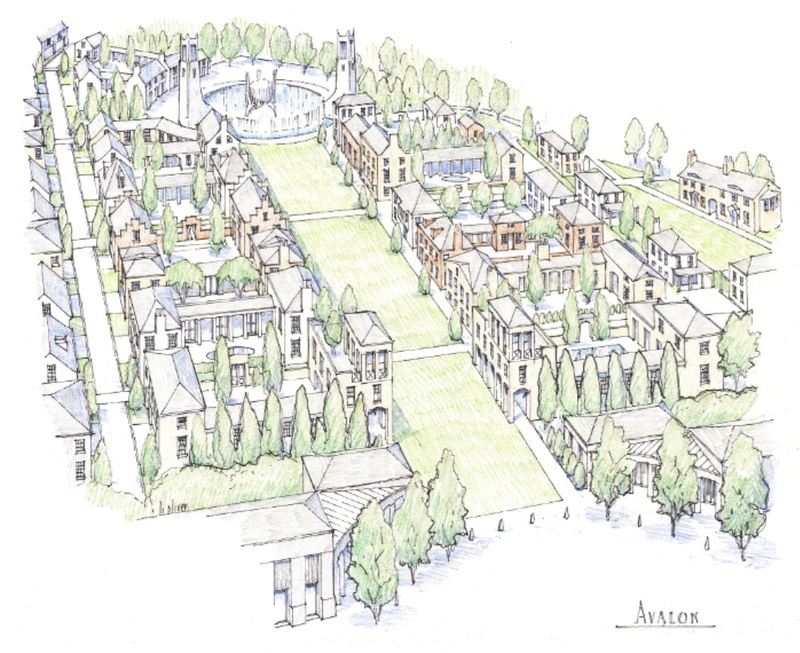 In all, the plans for Avalon are giving every indication that it will be a stellar place. And that's what it is, a "place" not a destination or shopping center or lifestyle center or power center any of the other buzzwords for commercial developments. I believe this truly will be one of the two defining places in Alpharetta ten years from now. The other will be the Alpharetta City Center area. So, regardless of whether you like it or not, Real Urbanism which provides walkability, thrives on design and gives more options for housing is coming to Alpharetta and once it is there, people are going to want more.